Magaziner cited a mix of bread-and-butter matters with community outreach. The Rhode Island pension fund finished well ahead of U.S. and global stock markets in December due to the defensively positioned investments in the fund's portfolio. In a month where U.S. stocks fell more than nine percent, the pension fund posted a -2.88 percent return, outperforming the Russell 3000 US stock market index by 6.4 percent. This outperformance represents more than $500 million of value that was preserved due to the defensive positioning of the pension fund's investment strategy. 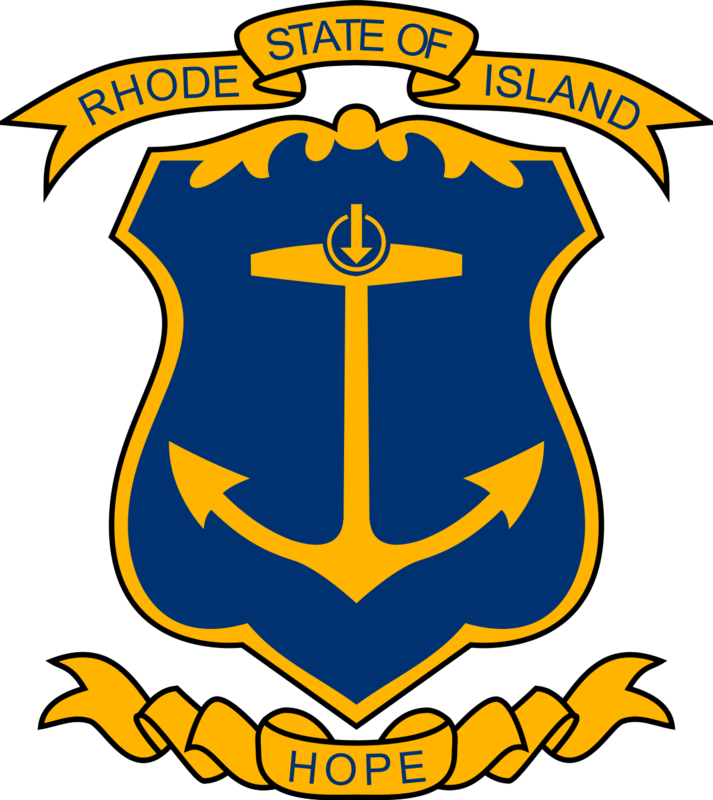 Providence, R.I. -- The Rhode Island Department of Revenue (DOR) today released its FY 2019 Revenue Assessment Report for December 2018. The Revenue Assessment Report, which is issued on a monthly basis, compares the adjusted general revenues by revenue source on a fiscal year-to-date and monthly basis to expected general revenues by revenue source. Expected general revenues are estimated by DOR's Office of Revenue Analysis from the FY 2019 revenue estimates adopted at the November 2018 Revenue Estimating Conference (REC). The methodology underlying the Office of Revenue Analysis' estimates is contained in the report. The principals of the November 2018 REC revised the estimate for FY 2019 total general revenues down by $5.4 million from the enacted budget. PROVIDENCE, RI - Rhode Island ended 2018 at an all-time high with 505,000 jobs in the state, according to data released today by the U.S. Department of Labor's Bureau of Labor Statistics. There have been over a half-million jobs in Rhode Island for seven consecutive months. At 3.9%, Rhode Island's unemployment rate is now level with the national average. Providence, R.I. -- The Rhode Island Department of Revenue today released its FY 2019 Cash Collections Report for November 2018. The Cash Collections Report, which is issued on a monthly basis, compares current fiscal year cash collections by revenue item on a fiscal year-to-date and monthly basis to prior fiscal year cash collections by revenue item. The cash collections report makes no adjustments for the timeliness of the receipt of revenues and provides readers with insight into the state's cash flow over the course of the fiscal year. Rhode Island schools, organizations, community centers and artists were awarded $163,181 in the December 2018 round of grants from the Rhode Island State Council on the Arts. The Arts Council's board approved the awarding of these grants at its December meeting in Cranston. These grants will go to support arts in education, community-based projects by organizations and individual artist fellowships and projects for the remainder of this fiscal year. Statewide, 73 grants were awarded in response to 230 applications received at RISCA's October 1 deadline. As a result of a previously announced settlement with Volkswagen for violating Rhode Island state laws prohibiting the sale and leasing of diesel vehicles equipped with illegal and undisclosed emissions control defeat device software, Attorney General Peter F. Kilmartin announced $4.1 million in funding for a variety of environmentally beneficial projects across the state. Twelve projects across six cities and towns will split $2.6 million in funding, made available by the 2016 Green Economy Bond. Supporting Governor Raimondo's commitment to clean energy, DEM selected one project that will become a solar farm and two projects with rooftop solar arrays. Another project will transform a dilapidated parking lot into a LEED-certified apartment building with a green roof to collect stormwater. PROVIDENCE - The Department of Environmental Management announced today the award of $276,614 in farm viability grants to seven Rhode Island-based groups working to support local agriculture; the grants are made possible by the U.S. Department of Agriculture (USDA) Specialty Crop Block Grant Program and will support efforts to increase specialty crop production and grow the marketplace for these crops in Rhode Island. USDA defines specialty crops as fruits and vegetables, dried fruit, tree nuts, and nursery crops, including floriculture and turf grass. NORTH PROVIDENCE, R.I. - At North Providence Town Hall Governor Gina M. Raimondo and the Rhode Island Commerce Corporation announced that nine cities and towns throughout the state have been awarded Main Street RI Streetscape Improvement Fund grants. Rhode Island Treasurer Seth Magaziner today issued an overview of the actions his office has taken this year to strengthen corporate accountability at hundreds of publicly traded companies in which the state's pension fund invests. (Providence, R.I.), The Rhode Island Department of Revenue (DOR) today released its FY 2019 Revenue Assessment Report for August 2018. The Revenue Assessment Report, which is issued on a monthly basis, compares the adjusted general revenues by revenue source on a fiscal year-to-date and monthly basis to expected general revenues by revenue source. Expected general revenues are estimated by DOR's Office of Revenue Analysis from the revenue estimates enacted in the FY 2019 budget. The methodology underlying the Office of Revenue Analysis' estimates is contained in the report. Rhode Island Attorney General Peter F. Kilmartin today joined 55 other state and territory attorneys general to in a letter to congressional leaders and the chairs of the Senate and House Judiciary Committees urging lawmakers to reauthorize the Violence Against Women Act (VAWA). "Since the enactment of VAWA in 1994, domestic violence and sexual assault have come out of the shadows and been subjected to the bright light of the justice system, advocacy groups and legislative efforts. Much progress has been made, but a great deal of work still needs to be done," said Attorney General Kilmartin. "I urge Congress to reauthorize VAWA to allow these efforts at combating such violence to continue without interruption." The Rhode Island Emergency Management Agency (RIEMA) is proud to announce the awarding of $128,000 in federal grant money under the FY2018 Department of Homeland Security Non-profit Security Grant Program (NSGP) to five non-profit organizations in the state. NSGP seeks to integrate the preparedness activities of non-profit organizations that are at high risk of a terrorist attack with broader state and local preparedness efforts. Providence, R.I. -- The Rhode Island Department of Revenue today released its FY 2018 Special Report on Preliminary Revenues. This report provides a detailed look at FY 2018 preliminary revenues as provided in the Controller's Preliminary General Fund Revenue Report for FY 2018 and compares these revenues to both the final enacted FY 2018 revenue estimates and the audited FY 2017 revenues as provided in the Final General Fund Revenue Report for FY 2017. Some of the detail information is derived from reports generated by the Division of Taxation and the Division of Lottery. This report should be viewed as a complement to the Controller's Preliminary General Fund Revenue Report for FY 2018. Providence, R.I. -- The Rhode Island Department of Revenue today released its FY 2018 Cash Collections Report for June 2018. The Cash Collections Report, which is issued on a monthly basis, compares current fiscal year cash collections by revenue item on a fiscal year-to-date and monthly basis to prior fiscal year cash collections by revenue item. The cash collections report makes no adjustments for the timeliness of the receipt of revenues and provides readers with insight into the state's cash flow over the course of the fiscal year. Providence, R.I. -- The Rhode Island Department of Revenue (DOR) today released its FY 2019 Revenue Assessment Report for July 2018. The Revenue Assessment Report, which is issued on a monthly basis, compares the adjusted general revenues by revenue source on a fiscal year-to-date and monthly basis to expected general revenues by revenue source. Expected general revenues are estimated by the DOR's Office of Revenue Analysis from the revenue estimates enacted in the FY 2019 budget. The methodology underlying the Office of Revenue Analysis' estimates is contained in the report. PROVIDENCE, RI- Governor Raimondo and Lieutenant Governor McKee are calling on National Grid to return to ratepayers $7.9 million of over-collections made after Congress passed a massive corporate tax cut. After Congress passed the 2017 Tax Cuts and Jobs Act, National Grid's federal corporate tax rate was reduced from 35 percent to 21 percent. Rhode Island's pension fund continued to deliver strong performance under Treasurer Magaziner's Back to Basics investment strategy earning $125 million in July. That 1.51 percent return on the month finished ahead of the fund's benchmark which returned 1.31 percent. The positive performance was driven by the investments in the global stock market - mostly low fee index funds designed to provide long-term growth. PROVIDENCE, RI - According to data released today by the U.S. Department of Labor Bureau of Labor Statistics, Rhode Island added 1,200 jobs last month and set another new all-time high record for the number of jobs in the state. The state's unemployment rate, which was well over 6 percent and one of the highest in America when Governor Gina M. Raimondo took office ticked down another 0.2 percentage points to 4.1 percent, the lowest unemployment rate the state has had since 2000. Since the start of 2015, Rhode Island has added 21,000 new jobs. Providence, R.I. -- The Rhode Island Department of Revenue today released its FY 2018 State 5.0 Percent Hotel Tax Collections Report for February 2018. The State 5.0 Percent Hotel Tax Allocation Report, which is issued on a monthly basis, compares the collections from the state's 5.0 percent hotel tax on a year-over-year, and fiscal year-to-date over fiscal year-to-date basis. The state 5.0 percent hotel tax is collected on the rental of rooms in the state and distributed based on the formula contained in Rhode Island General Law Chapter 44-63.1 entitled "Tourism and Development." PROVIDENCE, RI - Governor Gina M. Raimondo announced today that Rhode Island will receive $4 million from the U.S. Department of Labor to support job training for Rhode Islanders in recovery. With this grant, Governor Raimondo is keeping the promise she made in her State of the State address earlier this year to create a new job training program for people in recovery. With these grant funds, the State will also prioritize training for skilled healthcare professionals who are helping Rhode Islanders in need access treatment and recovery services. Rhode Island is one of just six states to receive funding through this grant. General Treasurer Seth Magaziner today announced that the State's pension fund finished its fiscal year ahead of its investment target and benchmarks. The fund returned 8.03 percent in the fiscal year ending June 30, 2018, ahead of its 7.0 percent annual target and ahead of its own benchmark which returned 7.59 percent over the same period. The fund also outperformed a traditional 60 percent stock/40 percent bonds portfolio which would have earned just 6.25 percent. General Treasurer Seth Magaziner today joined retired members of the St. Joseph Health Services of Rhode Island pension plan to propose new transparency requirements for pension plans managed by religious organizations that collectively cover thousands of Rhode Island workers. Cranston, RI – Today, the Department of Labor and Training announced new maximum weekly benefit amounts for the two biggest income support programs it runs for Rhode Island workers and employers – Unemployment Insurance (UI) and Temporary Disability Insurance (TDI). Providence, R.I. -- The Rhode Island Department of Revenue today released its FY 2018 Cash Collections Report for April 2018. The Cash Collections Report, which is issued on a monthly basis, compares current fiscal year cash collections by revenue item on a fiscal year-to-date and monthly basis to prior fiscal year cash collections by revenue item. The cash collections report makes no adjustments for the timeliness of the receipt of revenues and provides readers with insight into the state's cash flow over the course of the fiscal year. Providence, R.I. -- The Rhode Island Department of Revenue today released its FY 2018 Local 1.0 Percent Hotel Tax Collections Report for February 2018. The Local 1.0 Percent Hotel Tax Collections Report, which is issued on a monthly basis, compares the collections from the state's local 1.0 percent hotel tax on a month-to-month, year-over-year, and fiscal year-to-date over fiscal year-to-date basis. The local 1.0 percent hotel tax is collected on the rental of rooms in the state and remitted, in full, to the municipality in which the room rental was located. The Rhode Island Department of Health (RIDOH) has awarded $42,000 in grants to 10 local groups to work on projects related to climate change education and community resilience, all aimed at helping communities prepare for, respond to, and recover from the adverse health effects of climate change. The grants will fund 10 projects across the state. The work of the awardees will focus on various communities, including the Cape Verdean community, people who are incarcerated, young people, senior citizens, and residents more vulnerable to heat and flooding. PROVIDENCE – The Rhode Island Department of Environmental Management (DEM), along with its partners, today awarded over $210,000 to 21 local food businesses as part of its annual Agriculture "Ag" Day celebration at the State House. The awards, funded under the Local Agriculture & Seafood Act (LASA) grant program, help new and existing small businesses and food initiatives prosper in Rhode Island. "Agriculture Day shines a bright light on Rhode Island's vibrant food scene and rich agricultural and fishing heritage," said Governor Gina Raimondo. "Today's Local Agriculture and Seafood Act grants will help nurture new food ventures and grow our state's green economy. I congratulate all grant recipients and look forward to celebrating the success of these outstanding initiatives." PROVIDENCE – As part of her continued efforts to grow Rhode Island's green economy, Governor Raimondo will join the Rhode Island Department of Environmental Management (DEM) and partners next week to mark the 17th anniversary of Agriculture Day in Rhode Island; as part of the event, over $210,000 in grants to local farmers and community groups will be announced. Rhode Island's pension fund continued to deliver strong performance in April, earning $55.4 million. The fund's 0.67 percent return outperformed its own benchmark of 0.35 percent, as well as a traditional 60% stock/40% bonds strategy which would have returned 0.28 percent. The Rhode Island Department of Transportation (RIDOT) today announced the next phase of a multi-bridge project in East Providence with the reopening of the Potter Street Bridge on Tuesday, May 29. The bridge was closed in mid-March for concrete repairs, bridge joint work and resurfacing. The project involves work on three bridges over I-195 that are close to one another, each serving local traffic in the neighborhoods north and south of the highway corridor. RIDOT's project will address all three bridges, but always keep two out of the three bridges open at all times to minimize disruption for traffic using either of the other two bridges as a detour. PROVIDENCE, RI- Governor Gina M. Raimondo chaired a busy meeting of the Commerce Corporation today and made a major jobs announcement representing new opportunities for Rhode Islanders at all skill levels. In all, partnerships were approved with four companies bringing a total of more than 2,000 permanent jobs, $800 million in private development and more than 1,000 construction jobs to Rhode Island. Over 15 years, these four projects will add $118 million in new net revenue to the state. "This month's jobs report is yet another signal that our economy continues to get stronger, and that our recovery is including more and more Rhode Islanders. Our new approach to job training and economic development is working. Jobs are at an all-time high, we've gone from #49 in the U.S. to #1 in wage growth, and our economy has gone from #36 to ninth best in the nation. Because we didn't give up on Rhode Islanders who make a living making things, we've added 1,200 manufacturing jobs in the last year. "We need to build on our progress and can't afford to go back to the old way of doing things. Let's keep going, and let's keep working until everyone has the economic security they deserve." Select highlights from the April Jobs Report follow: • 499,300 total jobs, an all-time high. Rhode Island has set new records for jobs five times in the last seven months. • Rhode Island has added 16,500 jobs since Governor Raimondo took office and 7,200 over the last 12 months. • Manufacturing jobs: +400 compared to March 2018; +1,200 compared to April 2017. There are currently 41,600 manufacturing jobs in Rhode Island - the most since May 2009. • Labor force is up 900 compared to last month and up 5,600 over the last 12 months. Continuing his commitment to provide additional transparency on Rhode Island's public finances, Treasurer Seth Magaziner today announced the launch of a new, dedicated information platform for bond investors at RhodeIslandBonds.com. "Bonds are essential to finance projects that improve schools, transportation and other quality of life projects that are important for Rhode Island communities to grow, "said Treasurer Magaziner. "This new web portal offers a new, more transparent and user-friendly way to provide investors with information about State and municipal bond offerings." With thousands of pages of data and documents, Rhode Island's new investor portal provides insight into the credit fundamentals behind the state's bond ratings. RhodeIslandBonds.com consolidates the State's credit data and documents, providing comprehensive, sortable and searchable financial information to institutional and retail bond investors, as well as credit ratings agencies. The goal of the new investor portal is to attract more investors to Rhode Island's bond program, increasing the demand for bonds. A broader, more diversified pool of investors can help lower the cost of borrowing for public infrastructure and reduce the burden on Rhode Island taxpayers. This launch is one in a series of steps that the Treasurer has taken to improve the State's position in the bond marketplace. 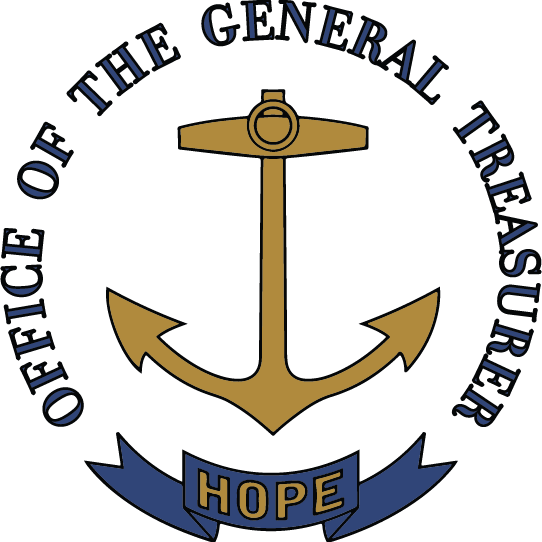 In 2016, Treasurer Magaziner conducted the state's first competitive sale of tax-exempt bonds in nearly a decade, resulting in $2.7 million of net savings in debt service costs for Rhode Island taxpayers. In 2017, he released the most comprehensive Debt Affordability Study in the State's history, setting new debt affordability targets for the first time since 1999. The Rhode Island Department of Transportation (RIDOT) today unveiled a new vehicle that will greatly increase the Department's ability to maintain its bridges with regular cleanings to remove road salts, sand and other debris. RIDOT purchased a fleet of six of these tanker trucks, which are outfitted with a series of high pressure water nozzles that allow the operator to clean the sides and deck of a bridge in a moving operation, generally at 5-10 mph. On average, the trucks are capable of cleaning five to six bridges a day, depending on their size. They also will significantly reduce the time needed to close a travel lane for maintenance. PROVIDENCE, R.I. - The U.S. Department of Education announced today that Potter Burns Elementary School in Pawtucket has been selected as a 2018 Green Ribbon School, and the University of Rhode Island has been selected as a Postsecondary Sustainability Awardee. These awards recognize educational institutions that have reduced their environmental impact, improved the health and wellness of their school environment and provided effective education on sustainability. The Rhode Island Secretary of State sought guidance as to whether using an electronic kiosk to post Open Meetings Act information was proper. We concluded that the proposed electronic kiosk that is physically present outside the State Library complies with R.I. Gen. Laws § 42-46-6(c). We also found that the OMA did not prohibit the electronic kiosk from linking to the Secretary of State's website. PROVIDENCE – The Rhode Island Department of Environmental Management (DEM), in partnership with the Rhode Island Office of Energy Resources and the Rhode Island Resource Conservation & Development Area Council, today announced $54,634 in grants to help farmers "green" their operations and save energy and money. The awards, funded through the Rhode Island Farm Energy Program (RIFEP), will support solar and energy efficiency projects at three local farms across the state. "By reducing energy costs, these grants will help Rhode Island farming families keep farming and grow their businesses," said Governor Gina Raimondo. "Our commitment to investing in clean energy will help create jobs and protect the beauty of our state for generations. This is a win for Rhode Island farmers and for all Rhode Islanders." Providence, R.I. -- The Rhode Island Department of Revenue today released its FY 2018 State 5.0 Percent Hotel Tax Collections Report for January 2018. The State 5.0 Percent Hotel Tax Allocation Report, which is issued on a monthly basis, compares the collections from the state's 5.0 percent hotel tax on a year-over-year, and fiscal year-to-date over fiscal year-to-date basis. The state 5.0 percent hotel tax is collected on the rental of rooms in the state and distributed based on the formula contained in Rhode Island General Law Chapter 44-63.1 entitled "Tourism and Development." PROVIDENCE, RI – Secretary of State Nellie M. Gorbea today presented her recommendations on how to best protect the security of elections in Rhode Island with the $3 million of Help America Vote Act (HAVA) funding allocated to the state. The Consolidated Appropriations Act of 2018 allocated $380 million nationwide to use towards election security. Secretary Gorbea serves as the state's Chief Elections Official under HAVA and her recommendations come after convening a Task Force to discuss best practices in cybersecurity and elections administration in Rhode Island. The recommendations will be presented to Governor Raimondo and the General Assembly for review and inclusion in the FY19 state budget. The project initiatives will also be provided to the US Election Assistance Commission (EAC). "As Secretary of State, I have been working to improve access to the ballot box, while protecting the integrity of every vote," Gorbea said. "After a robust conversation with a diverse group of stakeholders, I'm confident these recommendations will help us further strengthen the security of elections in Rhode Island. I look forward to working with Governor Raimondo and the General Assembly on implementing these recommendations over the next few months." Rhode Island Treasurer Seth Magaziner today announced that checks will be mailed to more than 8,000 Rhode Islanders this week under the his new YOUR MONEY program, which automatically reunites Rhode Islanders with their unclaimed property. "For hard-working Rhode Island families, a little extra cash can make a big difference," said Treasurer Magaziner. "Through the YOUR MONEY initiative, we are now able to efficiently reunite many Rhode Islanders with missing money that is rightfully theirs." Treasurer Magaziner's YOUR MONEY initiative matches unclaimed property lists with known addresses, which means that for thousands of people, their missing money can be returned to them automatically – with no paperwork required. In the past, every resident had to check the state's online database to see if they have unclaimed property and then submit a claim form. Seizing an opportunity to save taxpayers millions, General Treasurer Seth Magaziner today announced $7.2 million in savings found by refunding $70 million in state debt to take advantage of more favorable interest rates. "Rhode Islanders deserve to know that they have an advocate in state government who making sure that public borrowing is done responsibly and affordably," said Treasurer Magaziner. "I created Treasury's Office of Debt Management to make sure we are taking advantage of opportunities to save money and implement responsible borrowing practices throughout the state." Of the $7.2 million in savings for the state, $3.4 million will be saved in the upcoming fiscal year alone. As the outstanding principal was reduced from $70.4 million to $66.9 million. Rhode Island voters will be asked to approve five bond measures totaling $227.5 million in the Nov. 8 election. The ballot questions ask voters to allow the state to issue general obligation bonds to improve seaports in Providence and at Quonset Point; build affordable housing, university buildings and a new veteran’s home; and expand recreational areas. The state estimates the total cost of the bonds after two decades of interest will be nearly $365 million. All of the measures are backed by Democratic Gov. Gina Raimondo, who has described them as vital to improving the state’s economy and quality of life. None have organized opposition, though some have vocal opponents.